City University London is proud to announce today that it is the winner of the prestigious Times Higher Education Leadership & Management award for Outstanding Student Services Team. When making its decision the high-profile panel of judges focused on City's achievement last year of the Institute of Customer Service ServiceMark award. The University is the UK's first ever education institution - school, college or university - to achieve the ServiceMark. They described it as "a clear example of innovation". All of City's Student Advisers, who are based in the Student Centre on the Northampton Square campus, have achieved professional accreditation through the Institute of Customer Service for their personal customer service abilities. Andrew West, head of student services at the University of Sheffield, chair of AMOSSHE, the Student Services Organisation and one of the judges said: "The judges were particularly struck by the strategic way in which the Student Centre initiative had been delivered, incorporating capital investment, service development and improvement and a strong team ethos". Commenting on what City students say about the services they receive on campus, Andrew West said: "The judges were also impressed by the very positive evidence from service-user evaluation, demonstrating a strong further endorsement of City's approach". City University London's Director of Services for Students is John Tibble. He commented: "This is a very proud day for all my colleagues in City's Services for Students. It is their hard work and dedication to supporting our students that have won this award for the University. 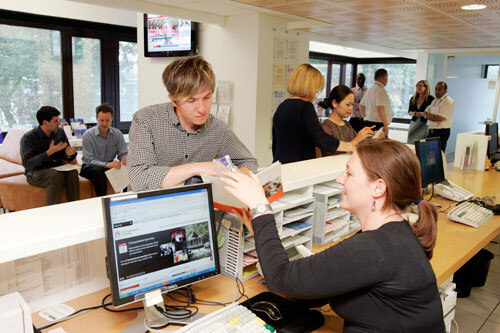 City students initially come to the Student Centre with a wide range of queries and problems, ranging from issues with finance, visas, timetabling or exams to requiring advice about central London accommodation, academic support, disability support or a more personal issue. Our highly qualified Student Advisers are able to help them directly or triage them on to a specialist to achieve a satisfactory outcome". 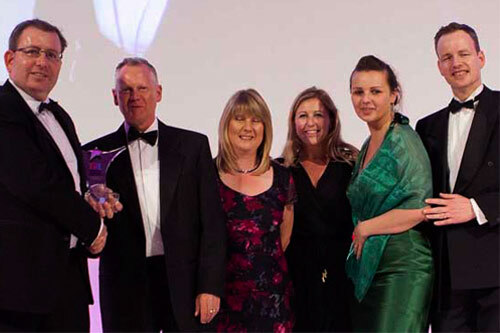 Above: Commercial Director of Campus Living Villages Sean McKeown (far left) presents the Times Higher Education Award to (from left to right) John Tibble, Michelle Preston, Alison Jacobs, Agata Lambrechts and Alan Gelfer. Amish Patel is President of City University London's Students' Union. He says: "I'm not surprised that Services for Students has won this award; students are always telling me how helpful, friendly and approachable they are. And I'm aware that the range of services that the Student Centre in particular delivers has increased over the past few years as student queries become more diverse".